For years, Gartner has helped clients make the right decisions and stay ahead of change. Today, Gartner is the leading research and advisory company, expanding well beyond Gartner’s flagship technology research to provide senior leaders across the enterprise with the indispensable insights, advice and tools they need to achieve their mission-critical priorities and build the organizations of tomorrow. 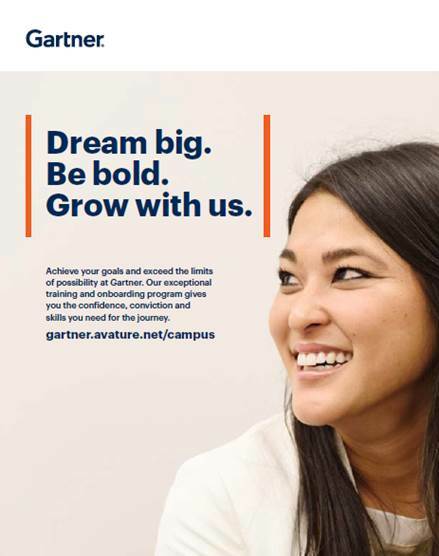 Gartner Consulting is an extension of Gartner Research, helping clients translate insights into actions to achieve superior performance and build organizational capabilities. Together with our clients, Gartner fuels the future of business so that a more successful world takes shape.